Savour the festive spirit at Holyrood Palace, which will be given a Christmas makeover for the first time, with its State Apartments, courtyard, Royal Collection Trust Shop, and ornamental fountains dressed up for the enjoyment of visitors. A prestigious silver service, commissioned for the Silver Jubilee of George V and Queen Mary, will grace the table in the Royal Dining Room, while pieces from a Bloor Derby porcelain dessert service ordered by Queen Victoria will also be on show. Staff will be available to inform on Christmas traditions observed by the Victorians, including their favourite foods. A Family Activity trail will be established as a means of exploring the Palace, and will include a Christmas grotto where children can learn to make Victorian Christmas decorations. Family-friendly activities will also run on the last 2 Sundays of December, including storytelling, a fancy dress party with face painting, and ‘Hands on History’ sessions allowing visitors to gain tactile experience of the objects used during Queen Victoria’s occupation. On Wednesday 10th December, the Great Gallery will host carols around the Christmas tree. Additional tours will also be available after-hours on selected dates in December and January, offering access to some rooms normally debarred to the public. Festive staples such as mulled wine and Christmas cake will be available from the Cafe, complemented with roasted chestnuts and homemade mince pies from the forecourt. Game Masters brings over 100 playable games from more than 30 leading game designers to its first European venue. It explores the evolution of the medium through interviews with designers, original game artwork, and interactive features. The opening segment of the exhibition is Arcade Heroes, showcasing exemplary arcade games of the late 1970s and early 1980s, some of which you can play in the Game Masters Arcade. Similarly, the leading lights of gaming’s transition to home computers, consoles, and handheld devices are celebrated. Independent designers of famous titles, from The Sims (Will Wright) to Angry Birds (Rovio), will be celebrated, as will the best of local and emerging talent, credited with Grand Theft Auto (DMA Design) and the Scottish BAFTA award-winning Bad Hotel (Lucky Frame), among others. A complete list of playable games is available here. Tickets cost £6.50 for children and £10 for adults, with an £8 concessionary rate for senior citizens (aged over 60), students and unemployed people (ID required), and disabled citizens (carers are admitted free of charge, as are under 5s and members of the museum). A discrete student rate of £5 plus a 20% discount in the museum’s Balcony Cafe is available on Tuesdays upon provision of a valid NUS/Young Scot/University or College ID card. Families of 3 and 4 (including at least 1 adult and 1 child) are eligible for £23 and £28 rates respectively. Tickets can be booked in person at the National Museum of Scotland, by phone on 0300 123 6789, or online. National Art Pass holders receive a 50% discount when booking in person or by phone. The full FAQ for the event can be found here. A series of associated adults-only evening events (‘Museum Lates’; next scheduled for 13 February from 7pm-10.30pm) runs alongside the main exhibition, with tickets beginning at £10. 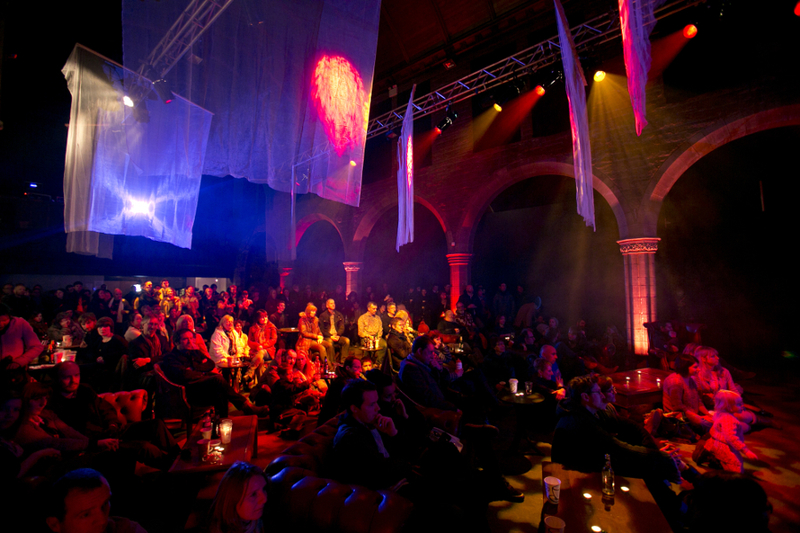 These shows include talks from industry experts, live entertainment, a silent disco, and catering in addition to interactive games; the full programme has yet to be confirmed at the time of writing this blog, but you can find more information here. Hosted at Inverleith Park, this festive fair includes live music from choirs and bands, over 30 stalls from charities and local companies, ‘Santa’s Grotto’ (pre-booking required at £5 per child), and a ‘Toddle Tent’ with children’s activities. A new addition for 2014 is ‘Santa’s Reindeer’, where children can go to see Santa and his pets in their pen. A ‘Santa Toddle & Parade’ will also take place on the Sunday, making its way through Stockbridge with a marching band, live ‘reindeer’, and a Christmas cast. Children will receive goody bags and have the opportunity to get their photo taken with Father Christmas. A Christmas Tombola is also scheduled for the day. Refreshments will be available on the premises, including free mulled wine and a mince pie following the popular annual carol service on the Saturday, commencing at 3pm. The main charity events comprise a series of walks and runs on the Sunday, ranging from 1 to 6 miles in length, and competitive to participative in nature. Entry to these is subsidized for those who partake on behalf of one of the designated charities (excluding for the Great Christmas Buggy Run and Santa Toddle), on the condition that their stipulated minimum sum is raised; failure to do so could result in your ineligibility to participate, at the respective charity’s discretion. You can participate in these events on behalf of your own chosen charity, but must pay the standard entry fee yourself. Teams of any size can enter, and members of a given team can fundraise for different charities; a JustGiving page is recommended as a useful facility for collecting sponsorship, and those entering on behalf of a participating charity will be sent a welcome pack with fundraising advice. Dogs can also take part in the events, but must be leashed at all times. Postal entries for all events close on Wednesday 3rd December, and Friday 5th December is the deadline for online entries. This annual event takes place amidst over 40 Christmas trees this year, with a programme of live music from local musicians and primary school choirs, a Christmas craft table, puppetry, and other activities designed to bring the community together. 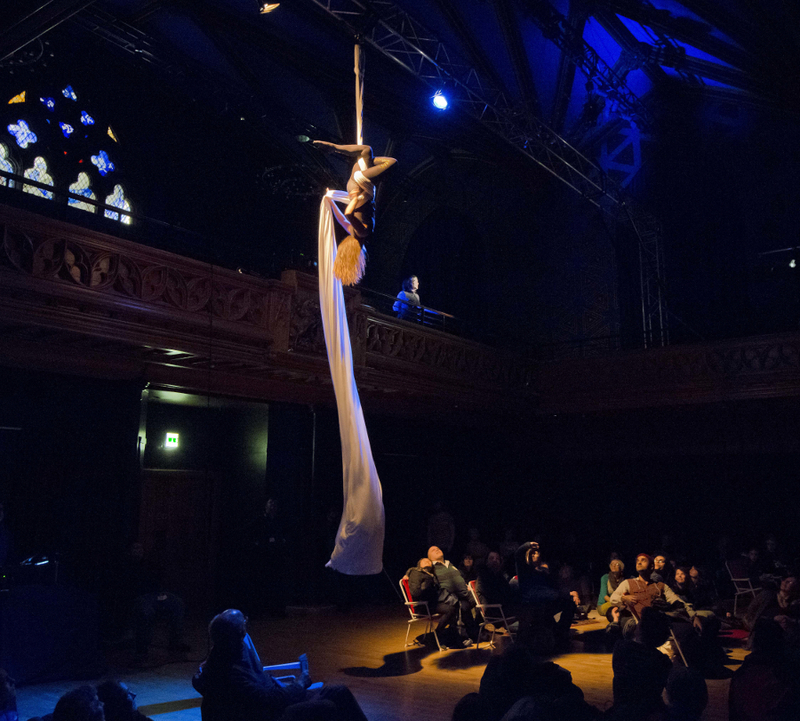 Admission is free, although donations are welcome and will be distributed among local charities, which this year include Edinburgh Women’s Aid, Palcrafts-Hadeel and Waverley Care. The event is open Monday to Saturday from 11am to 4pm, with the exception of the 11th and 18th of December (Thursdays), when it runs until 9pm. The festival had over 3000 visitors in 2013 and raised over £4000 for its charities. This year marks the 10th anniversary of this charity fundraising event, to take place at 11am (registration by 10.30am, at which time the warm up will begin) in West Princes Street Gardens. Entrants can run or walk around the 2km or 5km circuit in this family-friendly event, all proceeds from which go to When You Wish Upon a Star, a charity which grants the wishes of children with life-threatening illnesses in Scotland. The recommended minimum sponsorship level is £20.14 per adult/family, to be brought to the registration desk together with the associated form on the day. A JustGiving page is again endorsed as the platform of choice for accruing sponsorship. Dogs are welcome and admitted free of charge. Admission costs £10 for the 12-and-above age bracket, £5 for children aged 5-11, and £2.50 for those aged 2-4. All prices include a Santa Suit and Finishers Medal, both of which can be retained after the event. Infants under 2 years of age are admitted for free, as are pet dogs. To take advantage of the camaraderie of the day, team entries are encouraged, and prizes will be allocated to the ‘Best Decorated Pushchair’, ‘Best Dressed Dog for Christmas’, ‘Best Individual Fundraiser’, and ‘Best Fundraising Company Team’. The deadline for entry forms is 7th December 2014. The origin of the word ‘Hogmanay’, the Scots word for the final day of the year, is unknown, with French, Norse, and Goidelic etymologies suggested, but its first recorded variant, ‘Hagmonay’, is found in the Elgin Records of 1604. As a celebration, it possibly derives elements from the Norse winter solstice, the Gaelic Samhain, and the Viking Yule. 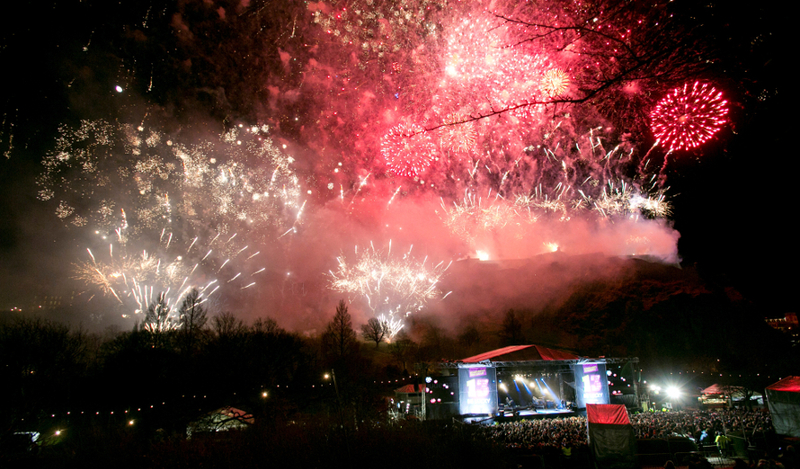 Organizers Unique Events have a tough bill to fill, having established a world-class precedent for their Hogmanay celebrations, especially the renowned midnight fireworks display. 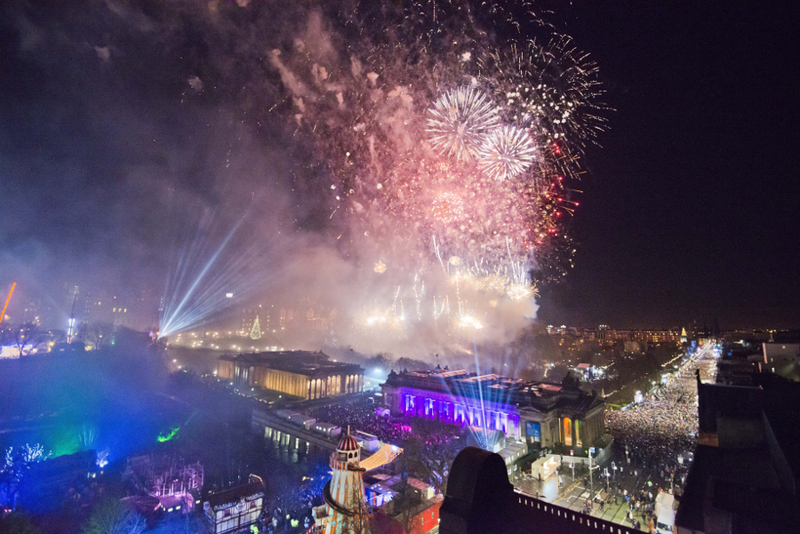 To meet these expectations, Edinburgh’s Hogmanay comprises a diverse series of events spanning more than a week over the turn of the year. The best window into the festivities is the daily guide available on the festival’s official website here. Since the events are so varied, there’s no standard ticket price, but full information can be found via their ticketing page, which also details associated box offices if you’d rather buy in person. A dedicated film season has been curated to usher in the New Year, with each title set in Scotland, but collectively exploring universal themes. This strand determines the duration of the festival, running from its inaugural to its closing nights. 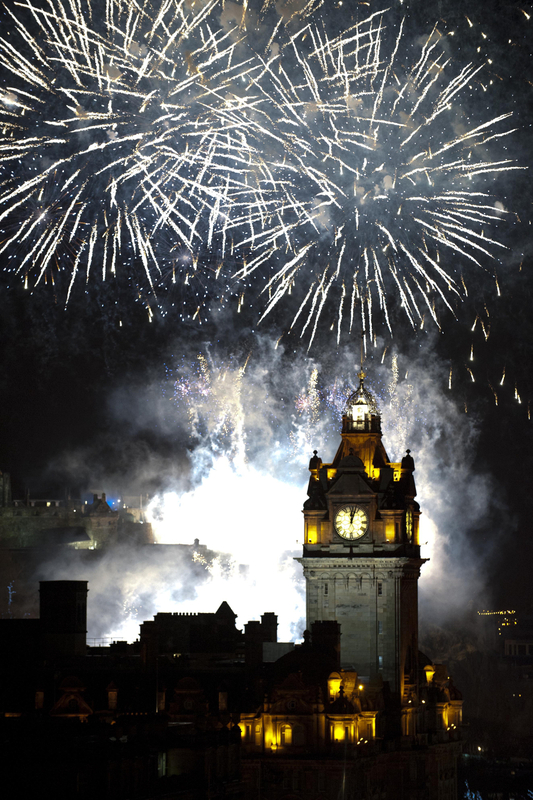 The torchlight procession, which last year involved over 35,000 participants, will once again illuminate the Old Town, passing from George IV Bridge to Waterloo Place and Calton Hill, both designated viewpoints from which the climactic Fireworks Finale can be enjoyed. 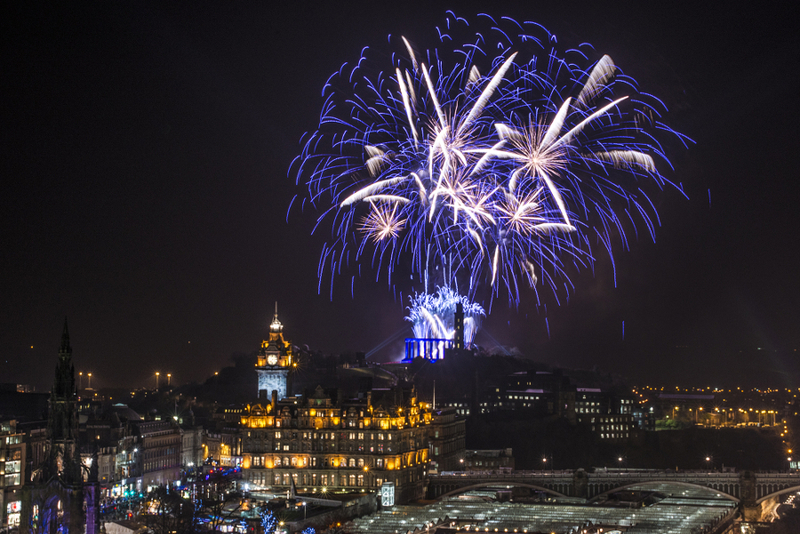 The big night will also involve a street party (including a Hot Dub Time Machine dance set), a garden concert headlined by pop star Lily Allen, the world’s largest outdoor New Year ceilidh, and a candlelit concert at St Giles’ Cathedral. New Year’s Day will see the annual Loony Dook, a tradition stretching back over a quarter of a century whereby the daring dip into the River Forth to raise money for UK charities. A preliminary Loony Dook Parade takes participants from the High Street to the river against the backdrop of the iconic Forth Bridges. 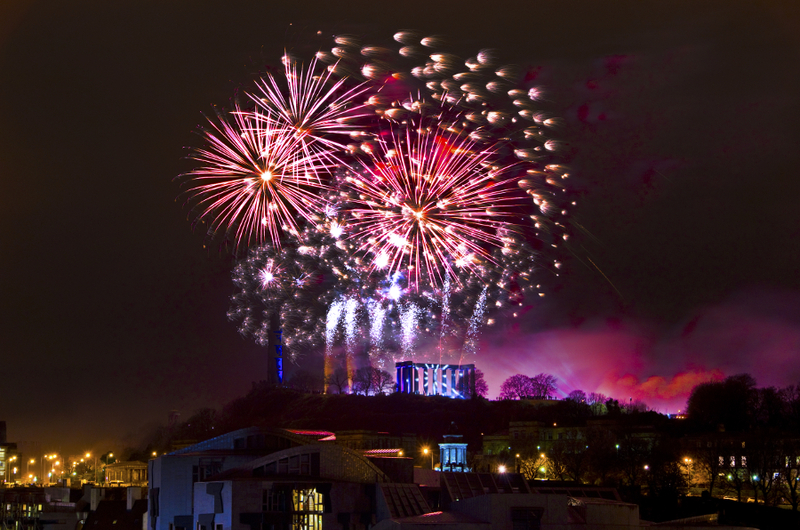 Also for New Year’s Day, displays of music, art, and theatre are to bring the Old Town alive under the banner of ‘Scot:Lands’, and an historic rivalry will be rekindled when Edinburgh Rugby go toe-to-toe with Glasgow Warriors for the 1872 Cup at Murrayfield stadium on 2nd January, with a promotional rate of £1 applicable to all under-18s. As usual, we’ll provide reminders and ongoing coverage of several of these events on our Facebook and Twitter channels, so follow our accounts to stay up to date. 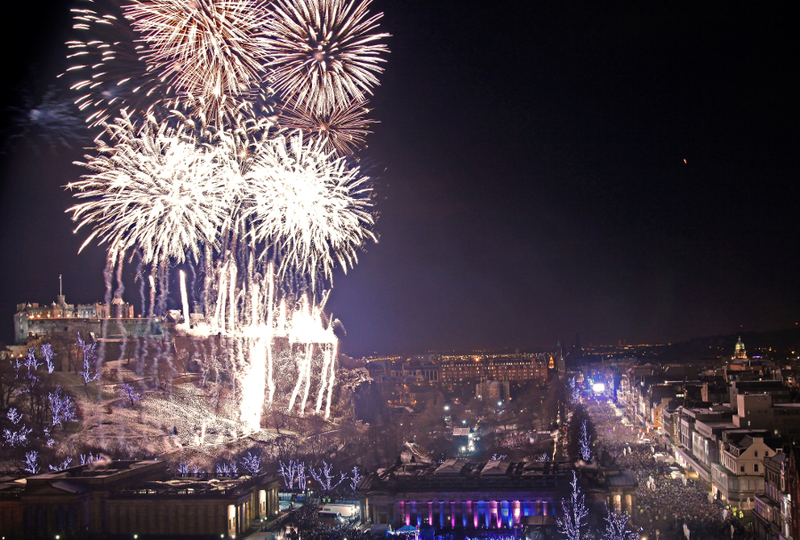 Finally, let us know what you’re planning to do in Edinburgh this December using the comments function, and stay tuned to this blog for future entries in the series and more besides.